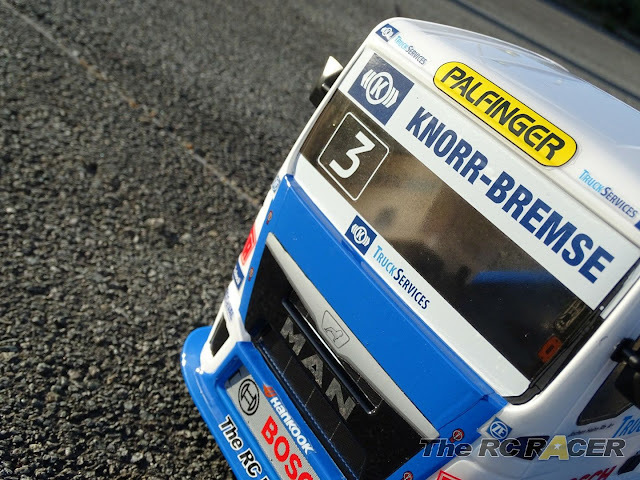 The European Truck Racing championship hosts a field of mighty race tucks weighing in at over 5000kg, and powered by huge 1,100 hp turbocharged diesel engines to ensure that it is a real heavyweight in the world of motor sport. 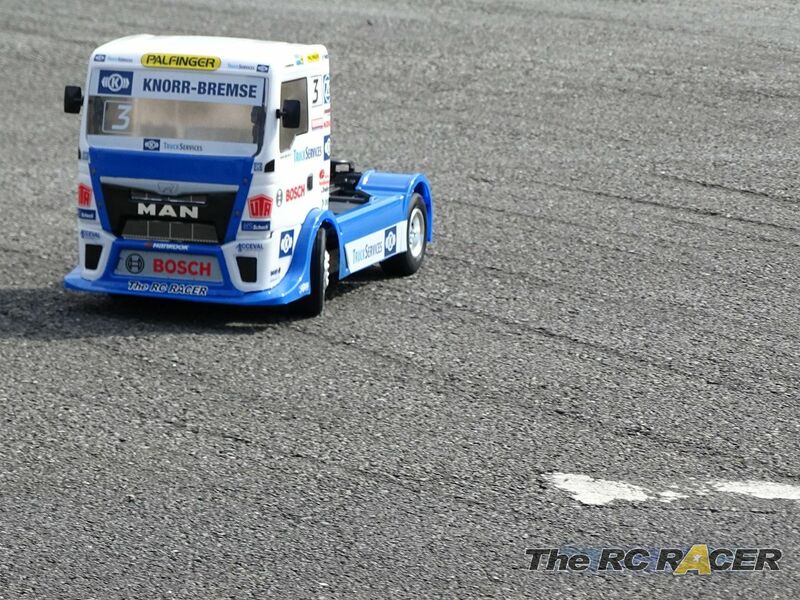 Tamiya has tapped into this exciting racing series with a scale version of the Man racing truck driven by Joachim Hahn that took third in last years championship. 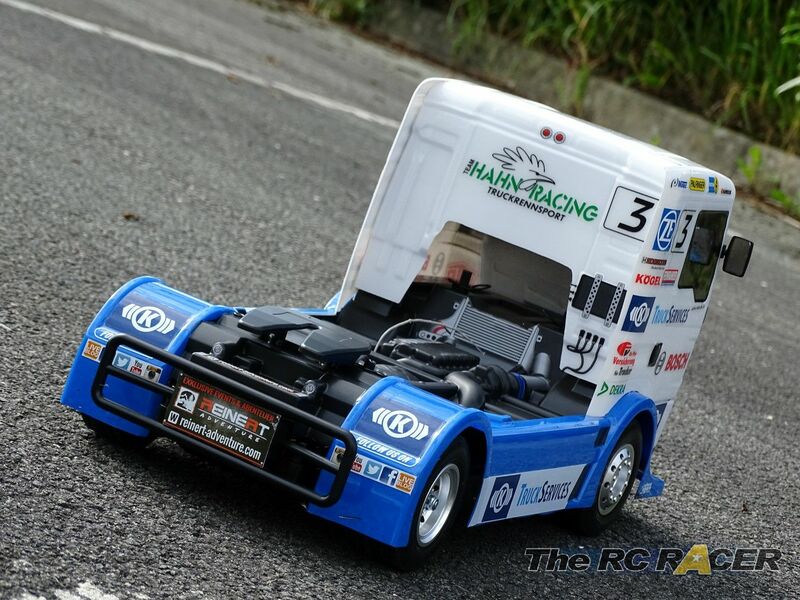 This fantastic looking truck shell sits atop the affordable and easy to assemble TT-01 E chassis. 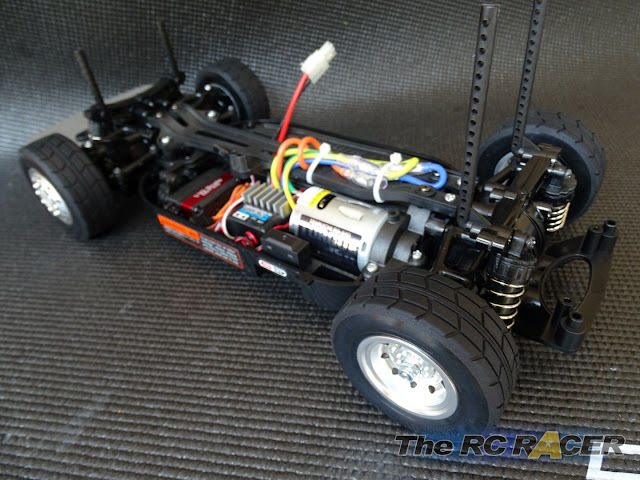 So with great looks and a cheap price could Tamiya be on to a winner? Let's take a closer look! 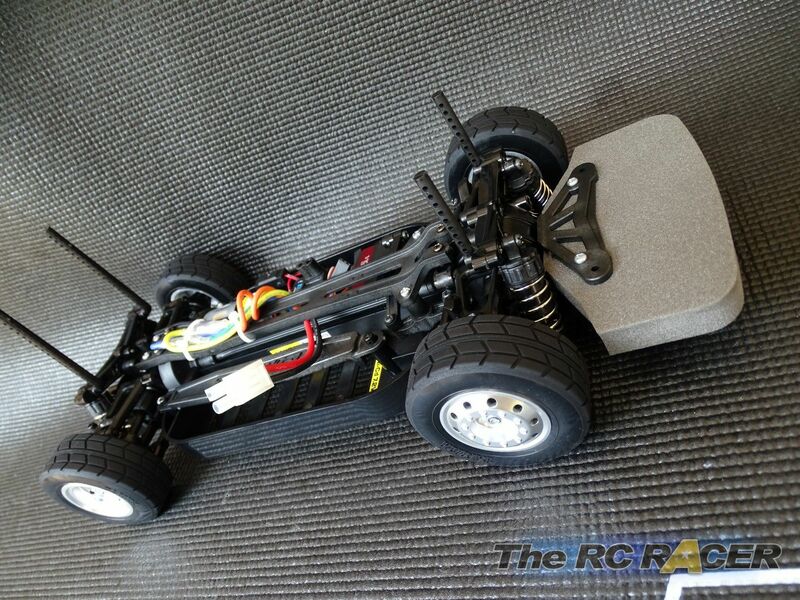 The TT-01 itself is incredibly popular as an on road RC chassis, and has unparalleled parts and option support. A few years ago the main design got an upgrade to the TT-01E specification to refine it further. 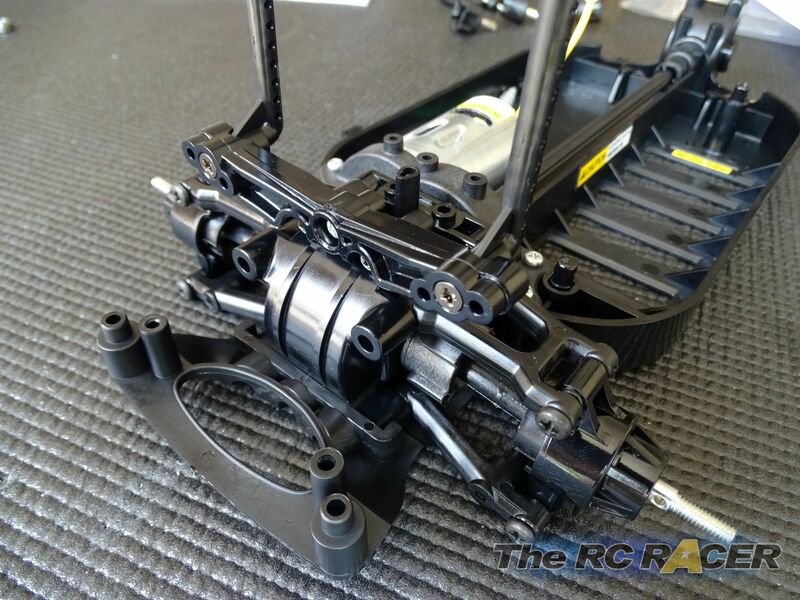 The main difference with this later version is that the steering assembly and front uprights are more precise, it has removable shock towers and a top deck that makes the chassis stiffer, making it handle more responsively when driving. Well that's the theory, lets get trucking and see if it delivers! 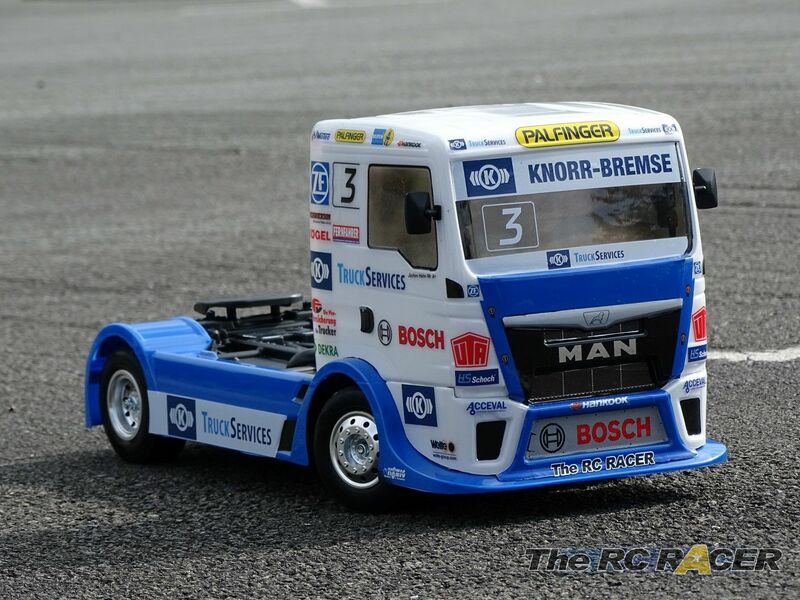 This is a Tamiya Kit, so as you would expect you get a very good instruction manual explaining how to make the truck. Everything you need is in the kit, including spanner for the tyre nuts, and a Hex/Alan key for the grub screw. You just need a cross head driver and some cutters to build the kit. 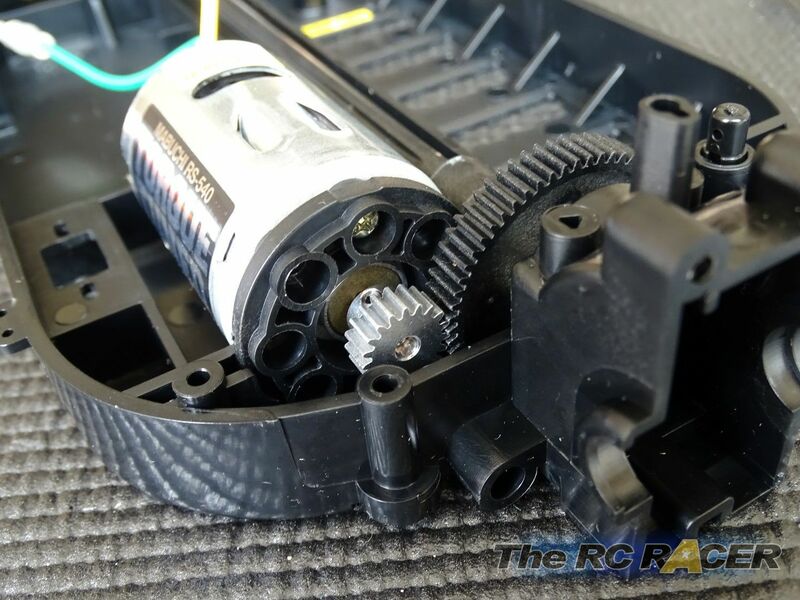 As it is a kit, you will need electrics such as a servo for steering, a battery and a transmitter receiver to get it rolling. 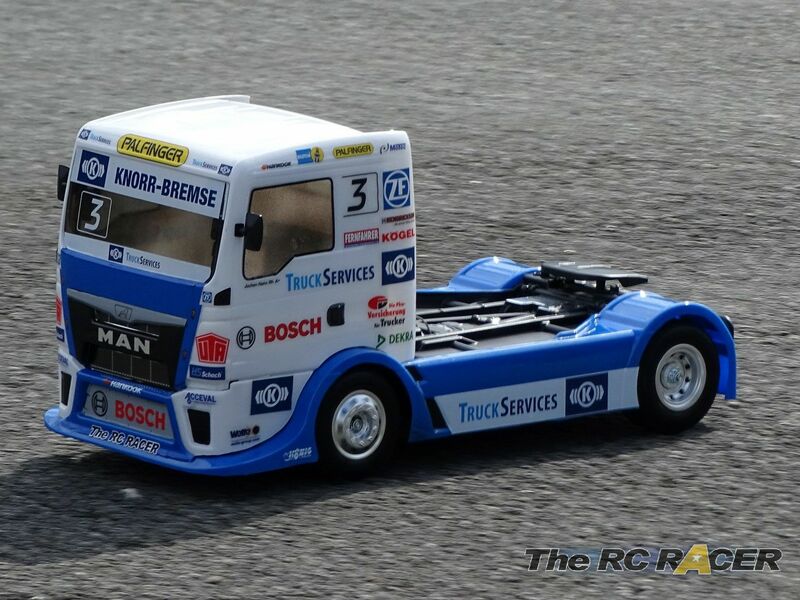 As mentioned before the Man Race truck is based on the incredibly popular Tamiya TT-01 E chassis. This plastic tub is the heart of the truck, and it is made from durable ABS plastic. and here you have to start assembling the main drive train. First up is the spur gear assembly. 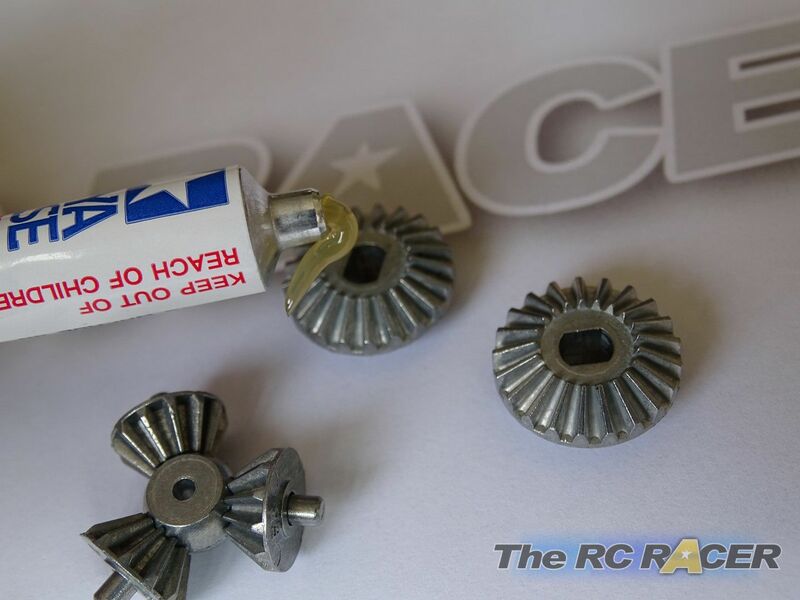 The spur gear itself is 0.6 mod (Tamiya AV) and the kit comes with a 61 tooth spur. You just need to add the bushing and then slide a small pin though the prop joint, to hold the spur in place. Add a drop off grease to make the little pin stay in place. 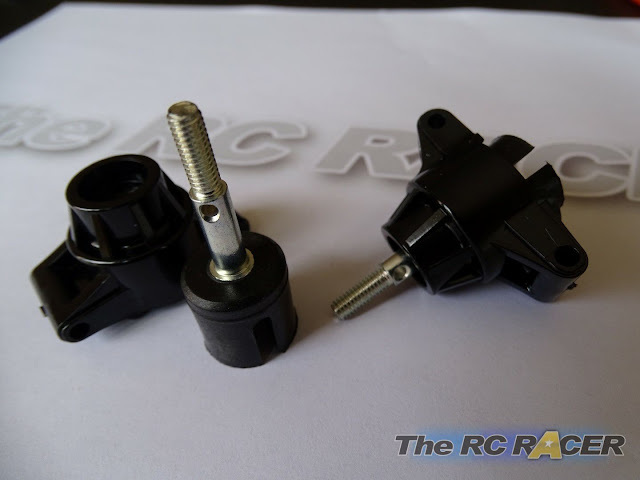 I advise just adding a small drop of the Tamiya grease that is included in the kit to the pin, it makes it stick in the cup end easily, otherwise it can move around when you are assembling it. 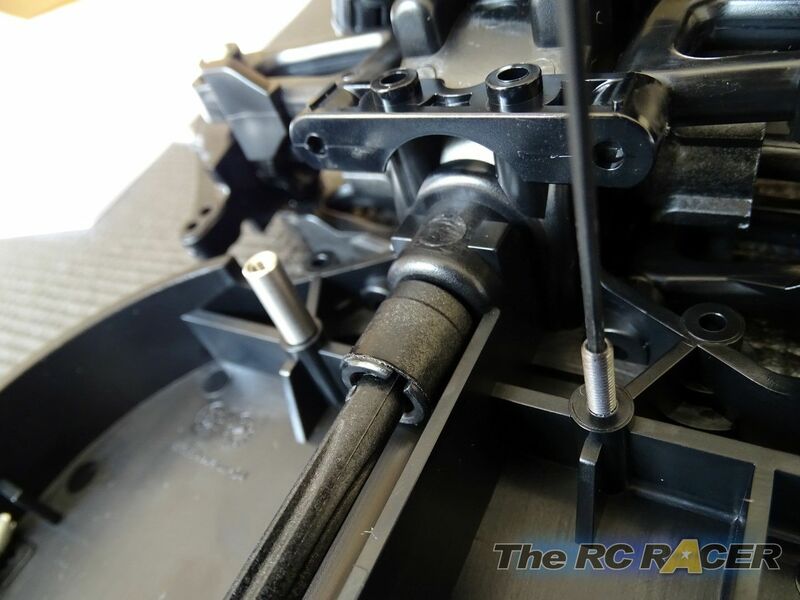 With this assembled you can just rest it on the chassis and check it is seated properly. Now you have to add the plastic prop shaft and the other prop joint. It's time to fit the motor. The kit comes with the excellent 540 Torque tuned motor. This is quite a step up from a std silver can motor so it is cool to find it included in the box. All TT-01 cars have a motor plate that allows you to easily set the correct gear mesh. You attach the plate to the front of the motor by placing the screws in the correct holes that correspond to the size of the pinion that you are installing. 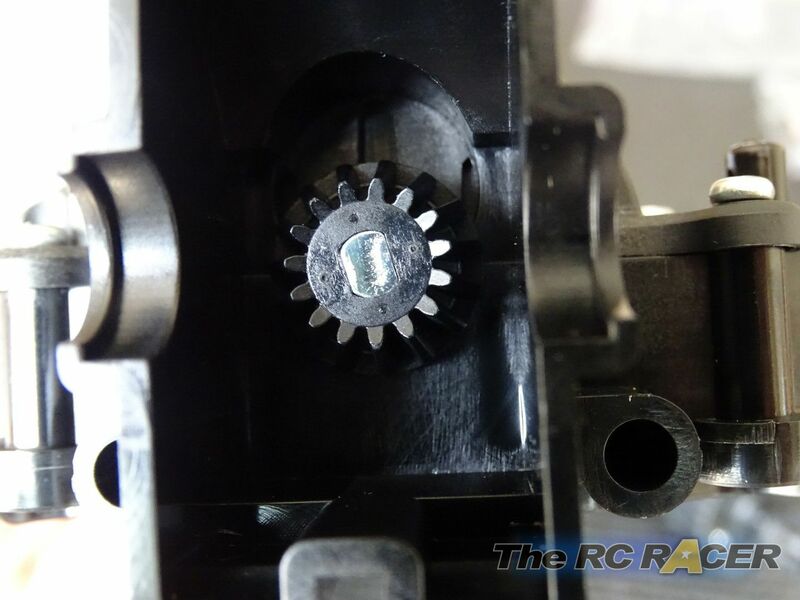 This kit comes with a 19 teeth 0.6 Mod pinion. Checking the manual it shows that you need to mount the screws vertically in the motor plate. The TT01 has a good range of gearing options, you can go up to a 22 tooth pinion for more top speed, you can go even faster with a TT-01 speed tuned gear set. So there is a lot of speed tuning possibilities with this car. I fine tune the pinion fitting once the motor is in the chassis. 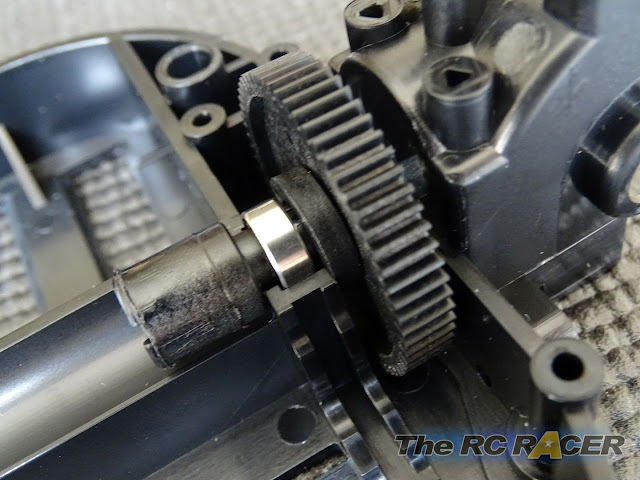 I move it along its shaft so that the teeth are inline with the spur gear. 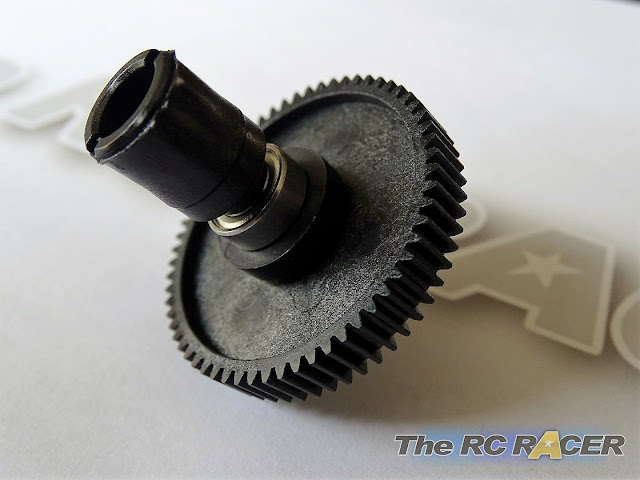 With this finished, it is time to add the spur gear cover. This is made from strong glass re-enforced plastic to ensure that it holds the motor firmly in place. Next up its time to build the differentials. These Have strong steel internals that are quite heavy, but obviously are going to last for a very long time. 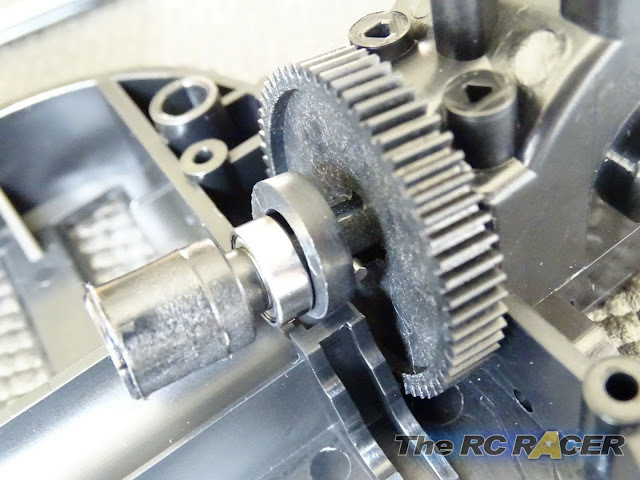 I used a liberal amount of the Tamiya grease on the gears for the rear differential. 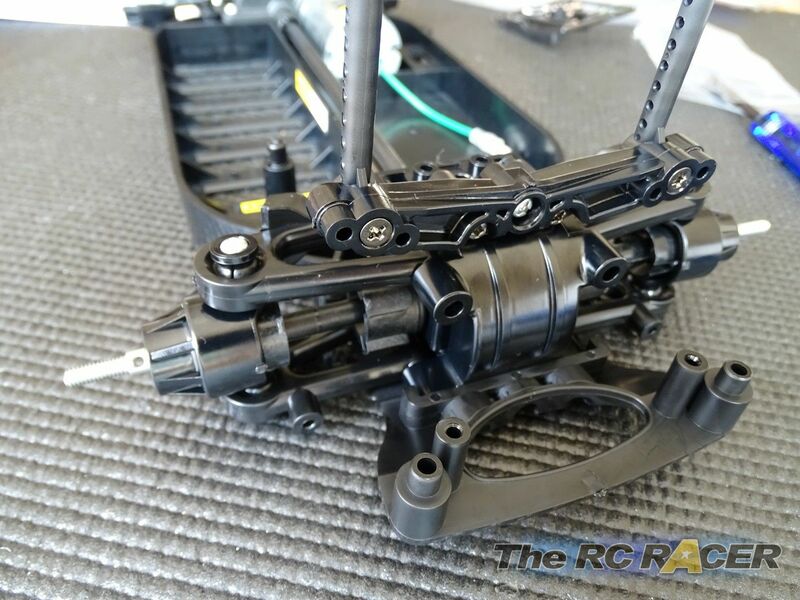 * NOTE: For the front differential I would add a little more grease than the rear to make it slightly stiffer, or even add some Tamiya AW grease to make it much stiffer. This will just ensure that the car will be positive when pulling away from an apex, and will calm down the rear end a little when entering a corner. The gears are mounted into the diff case and then it's time to attach the top half of the differential with three screws. 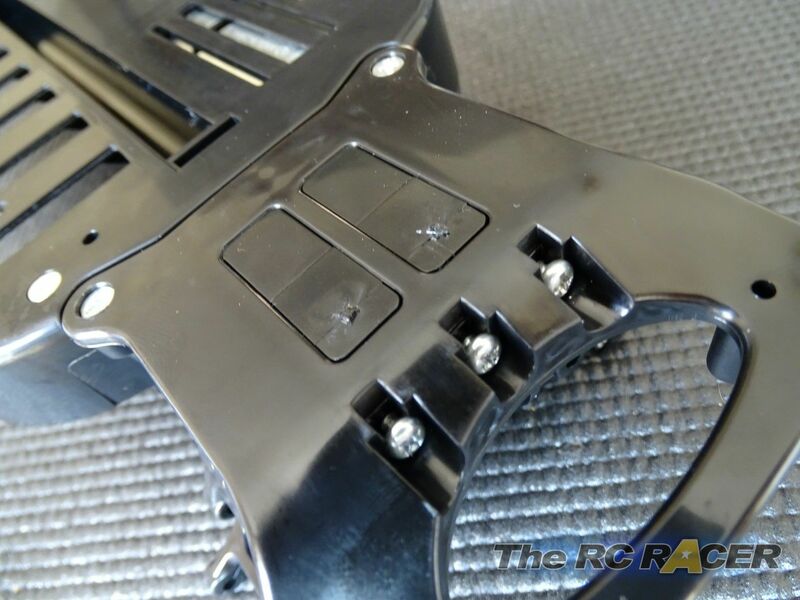 As this part had the main ring gear moulded onto it, I suggest not tightening down any of the screws until all three are attached and well seated. Once you have done this, just take it in turn to do the final tightening twists by moving between each of the screws until they all feel secure. This ensures that there will be no warping, essential to make the diffs run as smoothly as possible. The cool thing is that if you take time doing this, these diffs can last for years without any maintenance. Now you need to add the prop gear onto the end of the prop shaft that is peaking through the gearbox. Give it a good push and ensure it is well seated. Now its time to attach the larger oilite bushings on the differential and to mount it into the rear end of the chassis. Check the suspension arms are the right way around! At this stage you will be adding the suspension arms. The TT-01E can be built to be either a short (251mm) or Std (257mm) wheelbase. 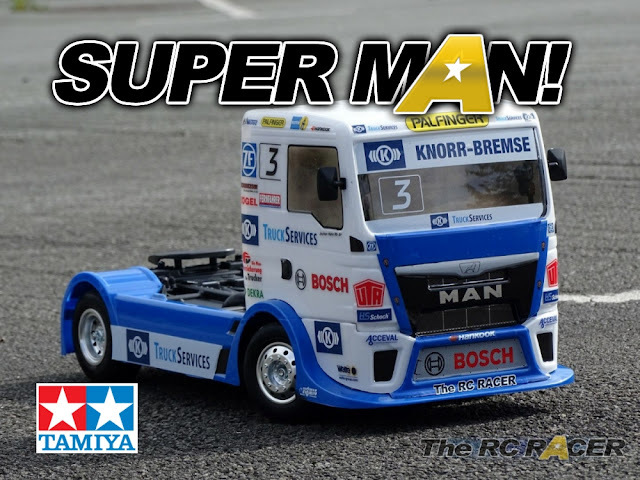 For the The Man Racing Truck you want to build it to the standard 257mm setting. Ensure that you follow the manual to check that the arms are the correct way around. Flipping the arms is the only way in which you can change the wheelbase, so just take care when you mount both the front and rear arms. The rear skid plate is then mounted. 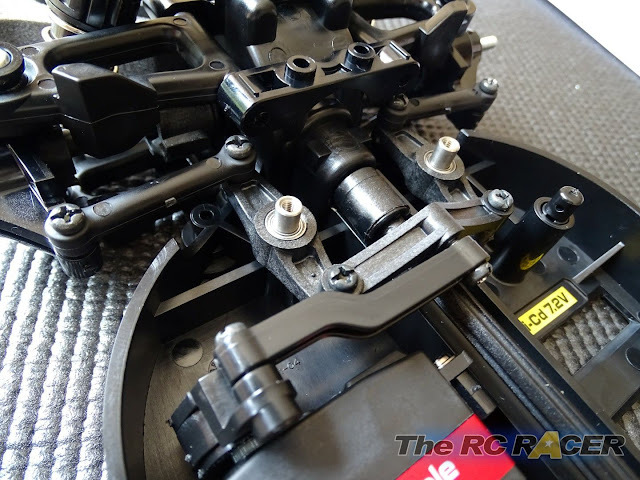 This strengthens the gearbox, alongside providing a mounting point for front and rear bumpers. With the gearbox and skid plate attached we have to fit the rear hubs. 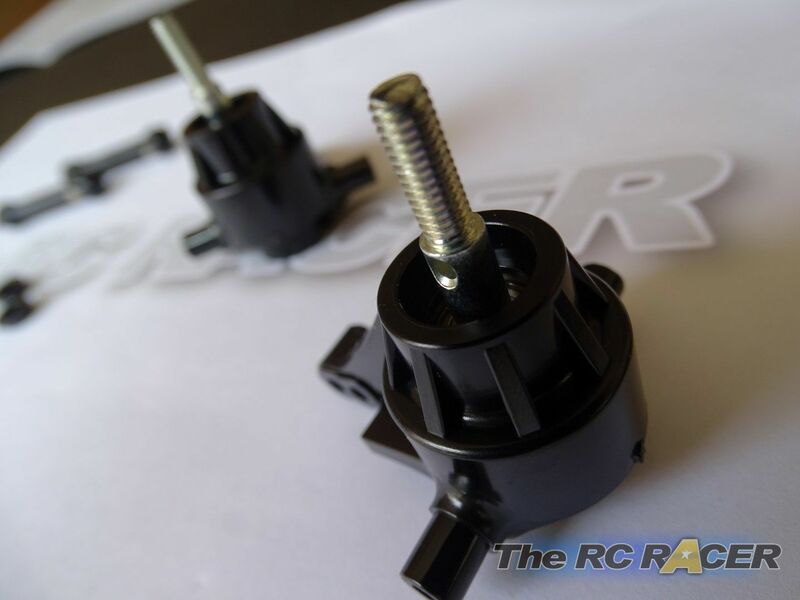 Once you have mounted the bearing on the chunky wheel axle you simply push it in. Next up you want to mount the hub onto the arms with the strong steel step screws. I fit the lower step screw in first, and then place the sturdy 6mm thick dogbone into the diff cup and the wheel axle and attach the top step screw. 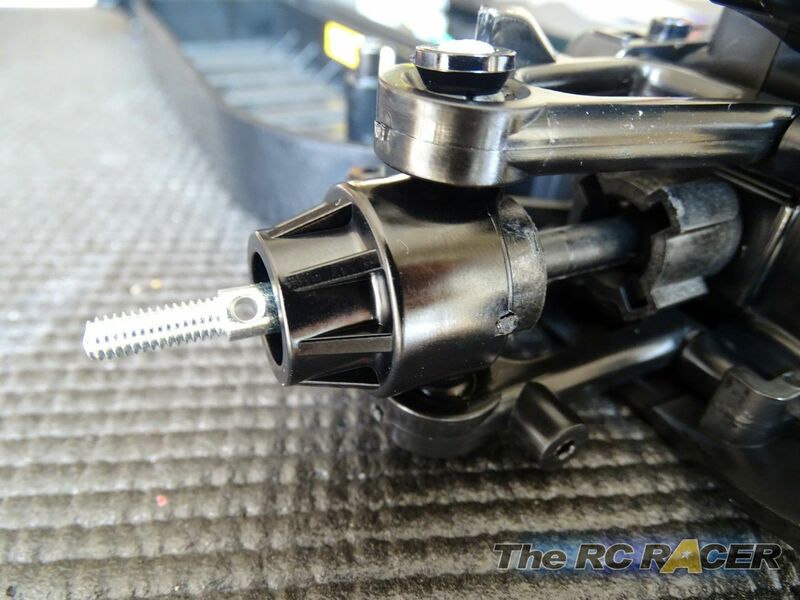 Just take care that you do not over-tighten them as that can bind the suspension. Remember, do not screw to hard! I screw them in firmly, and then lift the arm and drop it. If it doesn't drop just unscrew the screw a little and try it again. Keep doing this until it's done and then you will have smooth movement and very little slop. With the rear of the chassis done, it's time to finish the front drive train. As you would expect you fit the differential, prop joint gear and gearbox cover. Now it's time to fit the front arms. These are a pivot ball design, so you need to squeeze the little pivots into the arms. It's very easy just push the pivot in with the side with the little gap first. Then once it is in, just make it flat. 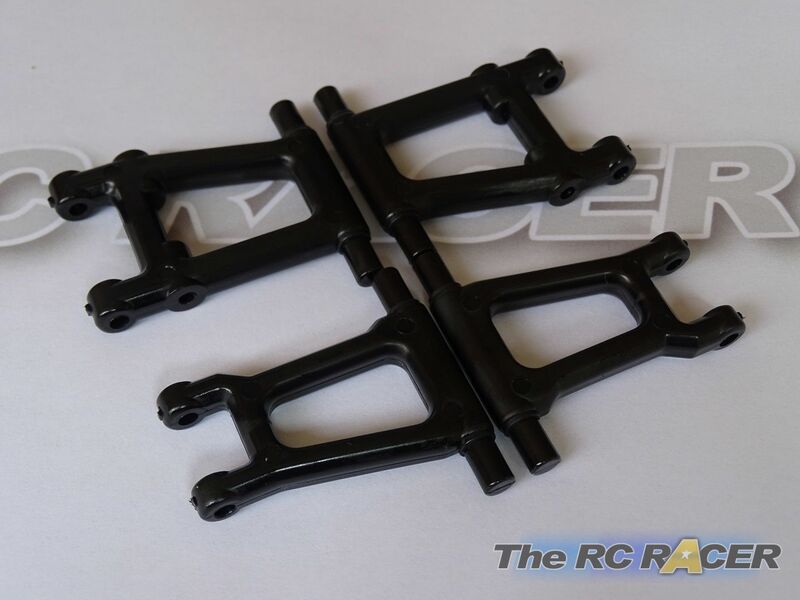 The front uprights are next, as this is a TT-01E these are stronger than the TT-01 parts, with less flex ensuring more precise steering. The axles spin on the 1150 bushings, so add a little grease if using those (no need if you fit bearings). The front uprights are mounted into the arms and held in place with plastic washers. Again do not over-tighten them so you bind the movement. The main drivetrain and suspension arms are now all assembled. In less than an hour! The suspension is helped by 4 easy to build shocks. These do not have oil, so whilst they might not have as much damping they are really easy to make and they will never leak. 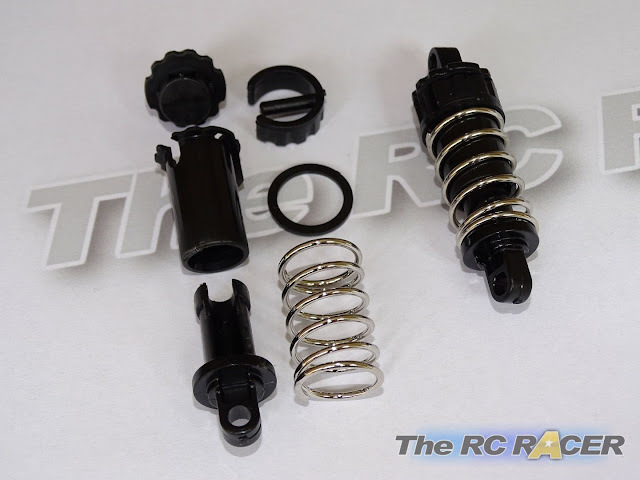 The shocks consist of a outer cylinder, and an inner shaft with a cap and cap retainer to hold it all together. The silver springs that are included are a good base level strength (Between Tamiya Hard (Blue) and Tamiya Medium (Yellow) springs). They just all slot together (Remember to put the circular spring retainer on the main cylinder before putting on the spring). 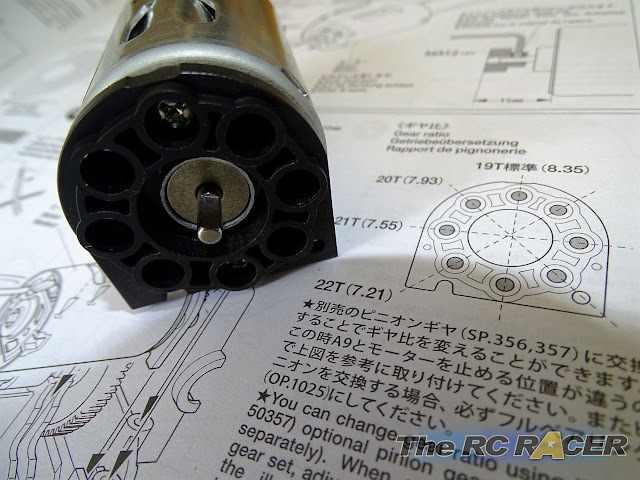 Slide in the shaft and give it a 90 degree twist and it's all locked in ready to mount. With the 4 shocks mounted we need to fit the front bumper. Massive! that's the first word that will come to mind. 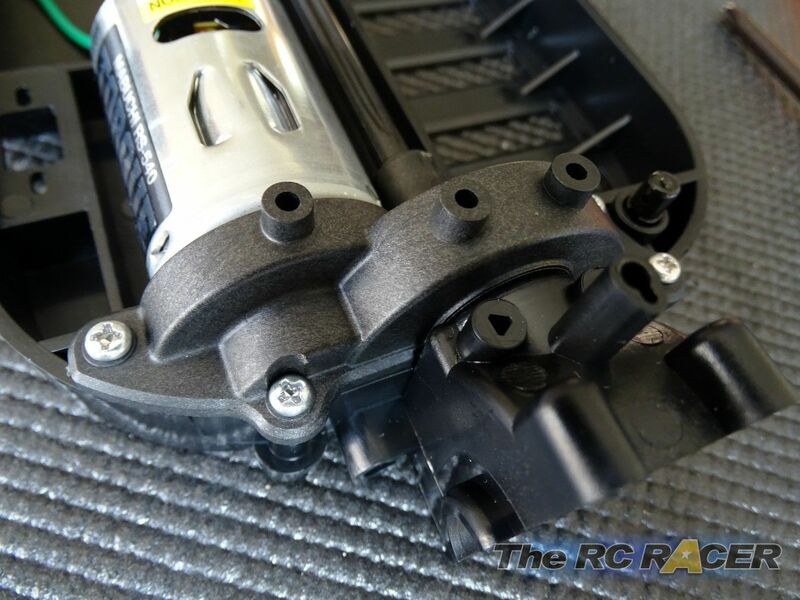 Its made of strong foam and it is held down with a bumper mount. The steering is next. 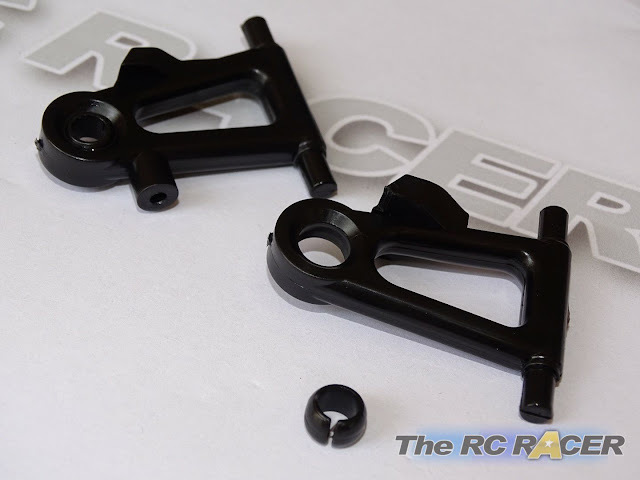 This is a part that has been quite dramatically changed from the original TT-01. 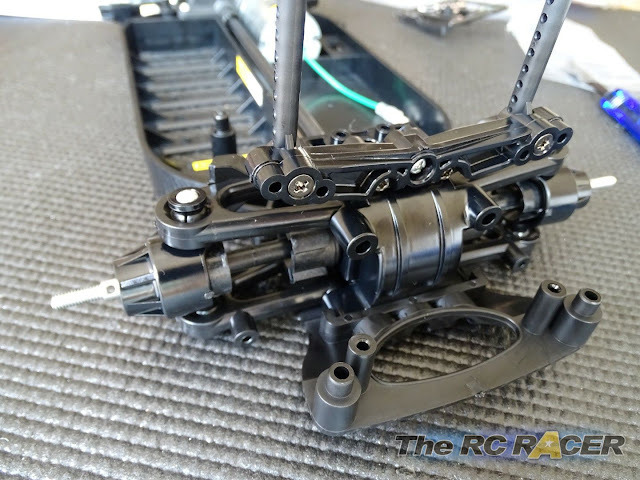 It is still a dual bell crank steering system, but now the steering arms are made from the hard Glass re-enforced plastic and they have 850 bushings mounted into them. 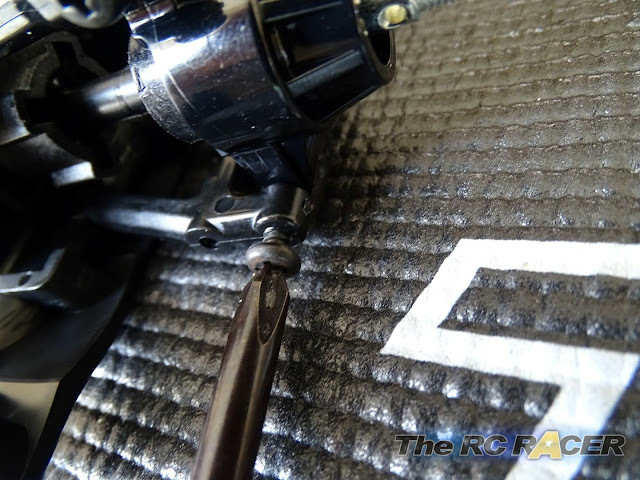 This will ensure that the slop that was common on the TT-01 steering is greatly reduced. The steering arms are mounted on top of some 5mm steering shafts. 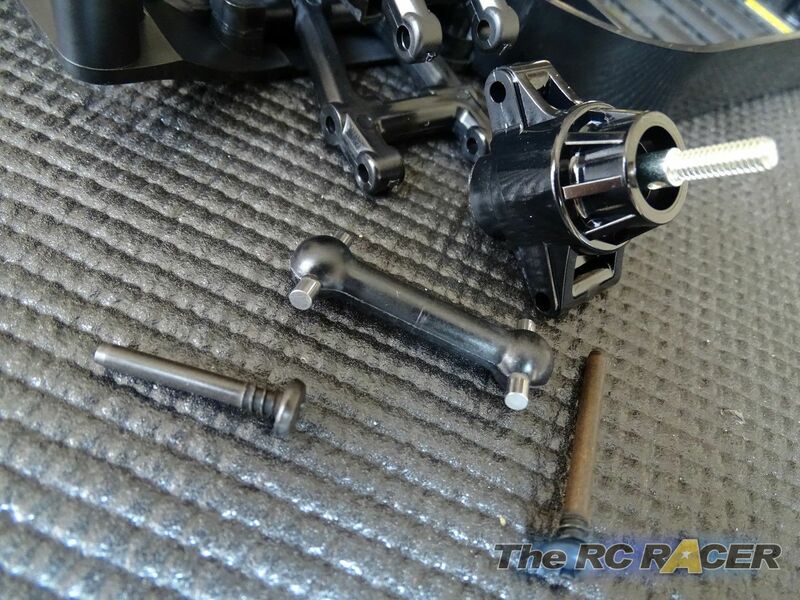 These are attached to the chassis with long grub screws and screwed down. Very smooth, and no excessive slop! 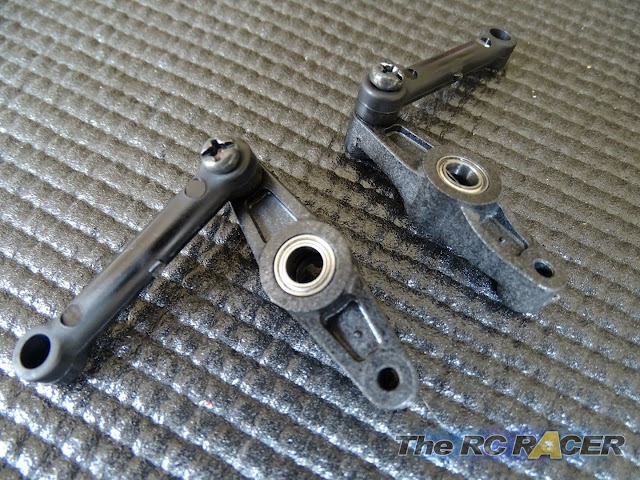 The result is a very smooth moving set of steering arms. 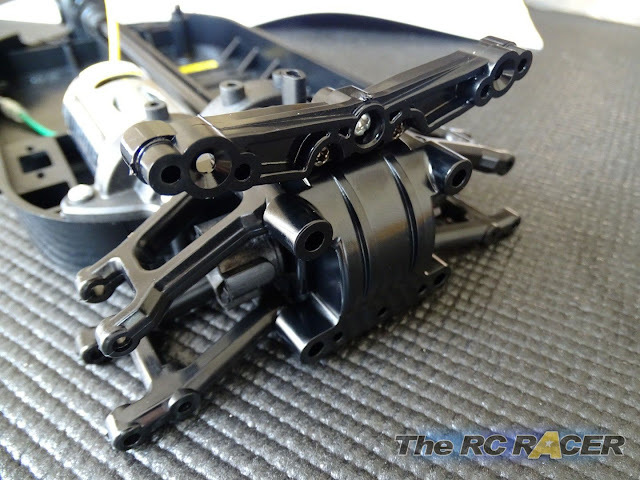 The servo was attached next, this is attached to a fixed length steering arm and a standard Tamiya servo saver. This is attached to a centre point upper steering bridge that is also made from the strong plastic and holds everything in place. 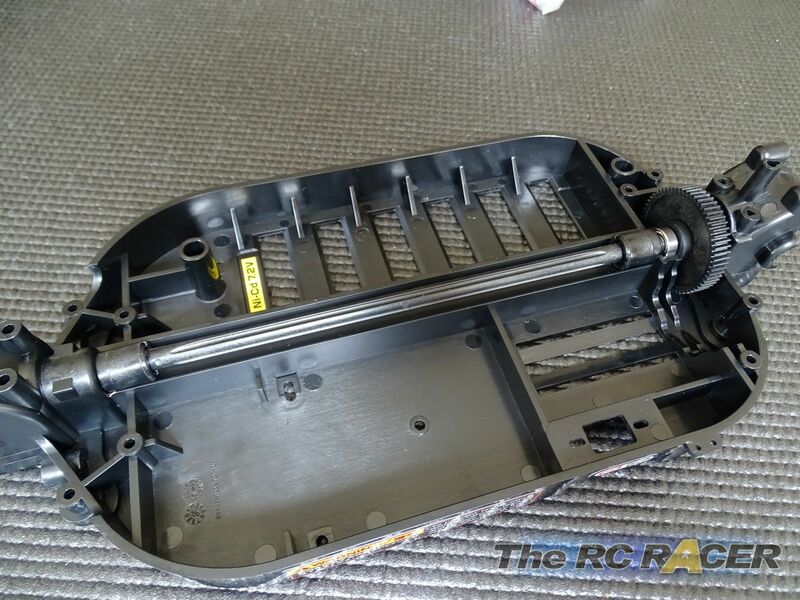 The final plastic chassis parts to attach are the upper deck and the aerial mount. 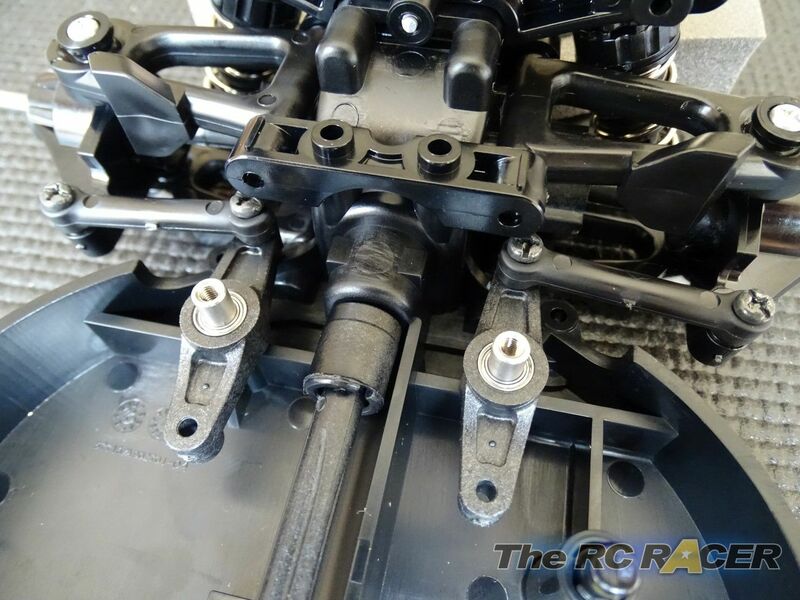 This holds the steering system securely and importantly adds a strong spine to the chassis, controlling the way in which it will flex, improving the handling. 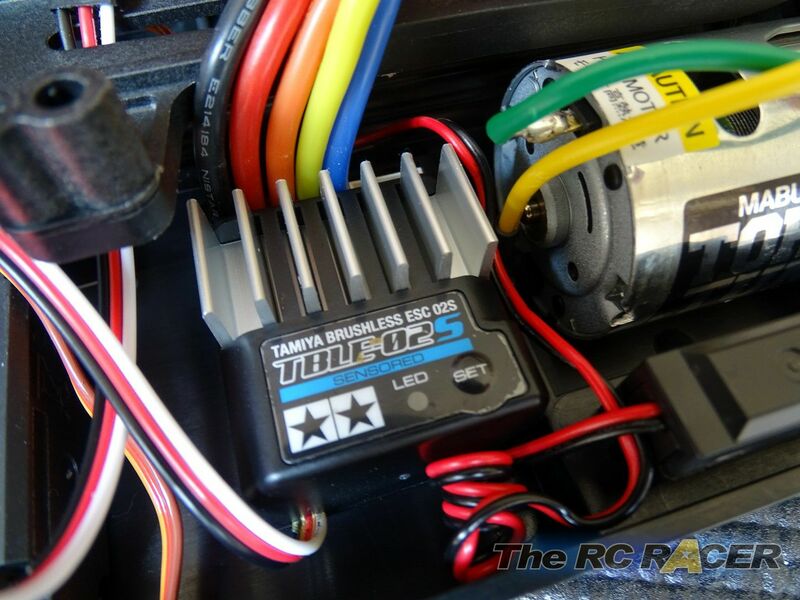 The motor is controlled by the excellent Tamiya TBLE-02s speed controller. It is simple to fit and it is already set to brushed mode. 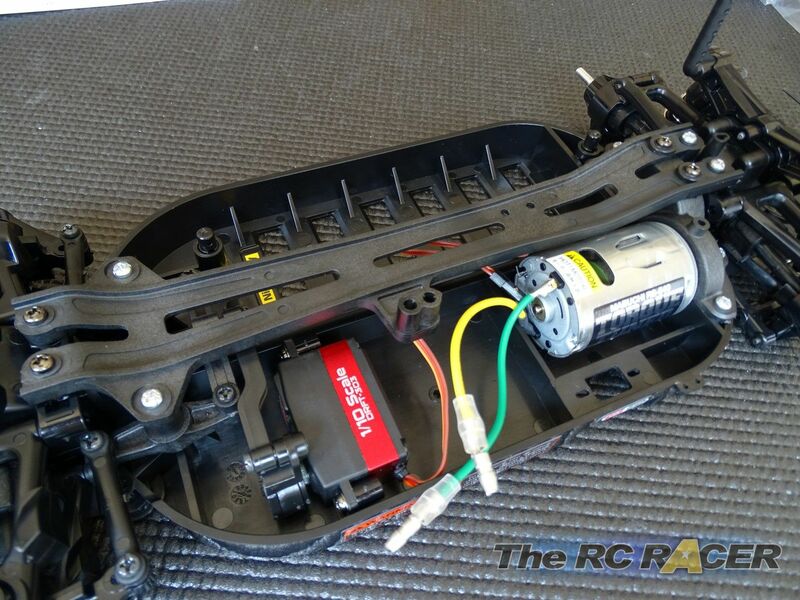 However the really cool thing about this speed controller, is that it also runs sensored brushless motors. So you can always upgrade cheaply if you decide that you want more speed. Now we just need to add the wheels. These looks fantastic and as you would expect from Tamiya and they are a satin finish that makes them look very realistic. 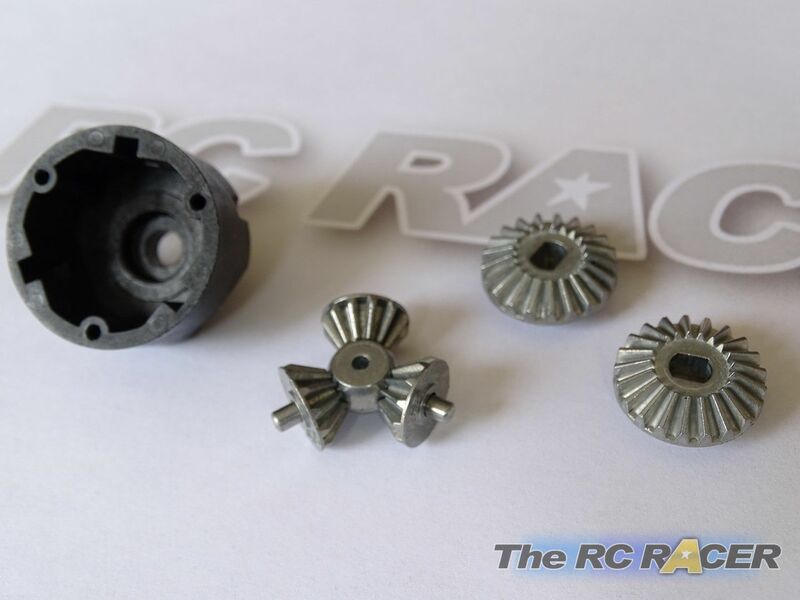 Tamiya gets all of these little things right and the are a great scale version of the wheels that you will find on the real racing trucks. 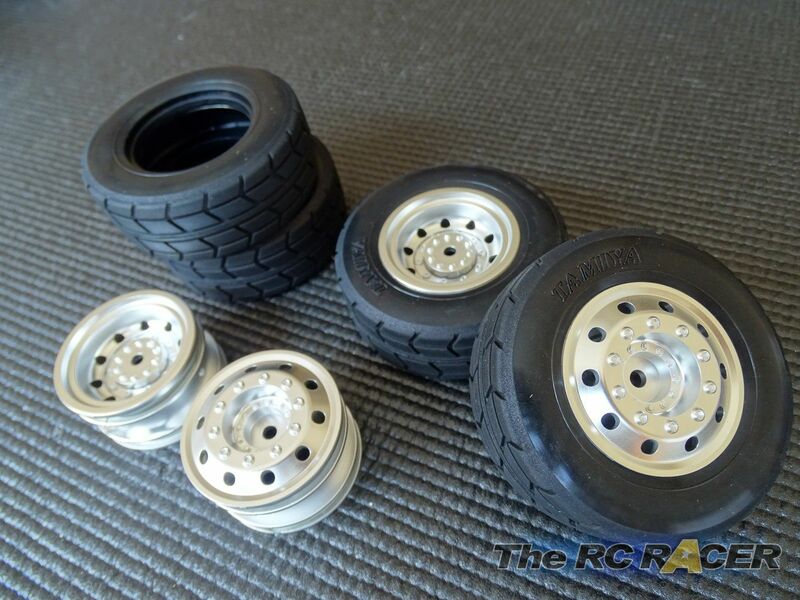 They wheel itself is 42mm and once you add the scale, high wall tyre the overall diameter is 70mm larger than a normal 1/10 touring car wheel. So the chassis is now complete. It was really easy to make and I was able to assemble it in less than 2 hours and still make a few brews and take pictures. The chassis has a ground clearance of 14mm with no spring adjusters, so it is much higher than a standard onroad car, ideal for driving around on the street, with it able to take the bumps in its stride. Obviously the most striking thing about this kit is the fantastic replica shell which accurately emulates the Team Hahn Racing truck. It is a work of art, but as you would expect if you want a masterpiece you will have to put in a lot of effort. The lexan shell is cut into 4 parts that need to be carefully trimmed, these then are painted and attached. 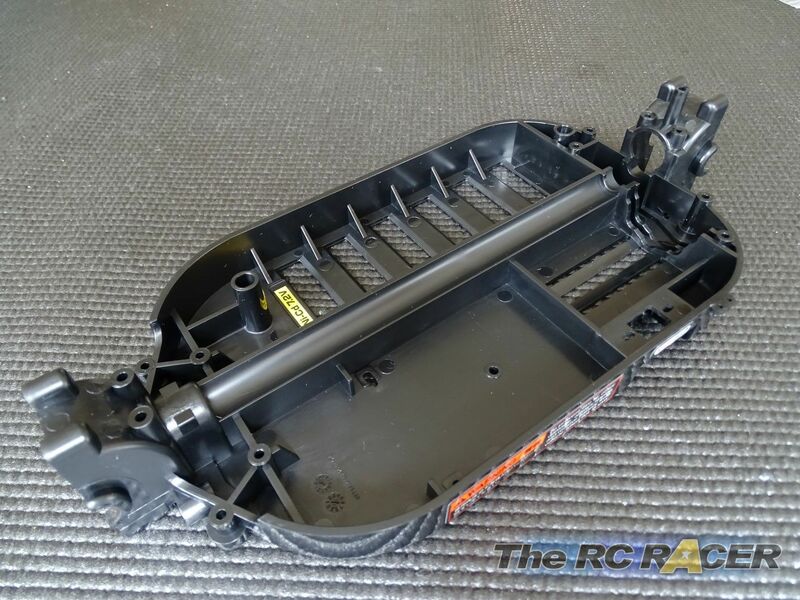 You also get an entire plastic sprue for the body, this contains details such as the wing mirrors, rear bumper, lights (It has options to fit LED's) etc. With the shell assembled you just need to to fit the 90 or so decals onto the shell and the final result is something that looks epic! Just how amazing does that look! With the stick pressed forward the truck moved into action. The throttle response was smooth and Man Racing truck looked fantastic as it built up its speed on the open tarmac section. 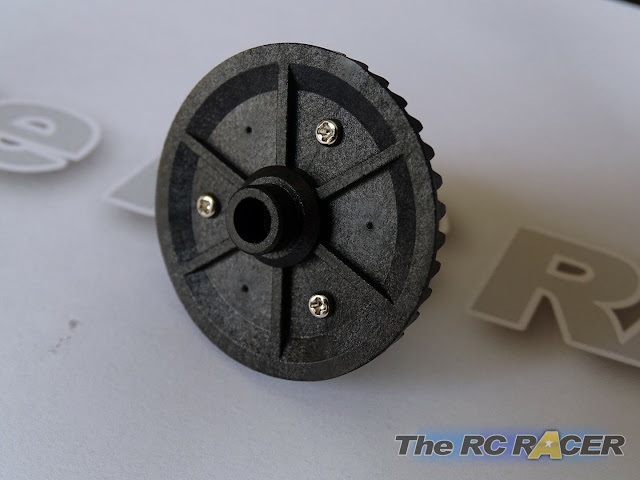 It reached a decent speed of around 25 mph, which could be increased with a larger pinion. 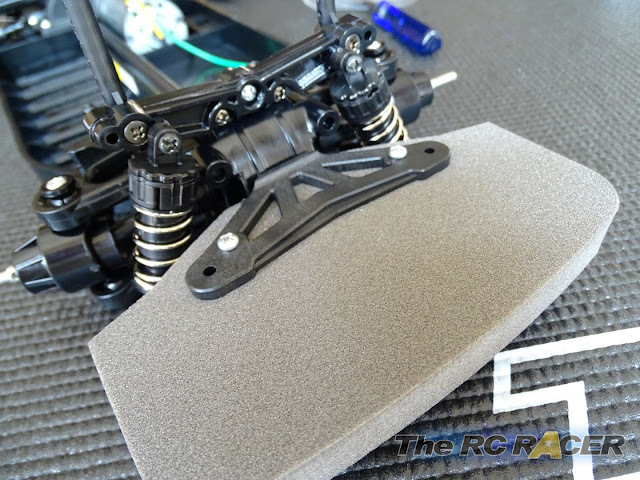 As I came to the end of the straight I dabbed the brakes and they were smooth and positive thanks to the TBLE-02S speed controller. I took it all a bit easy at first as the hours that I had put into building the shell were weighing heavy on my mind, but the car felt surprisingly stable. So we fashioned a circuit from a selection of track markers and decided to start to explore the limits of the handling. 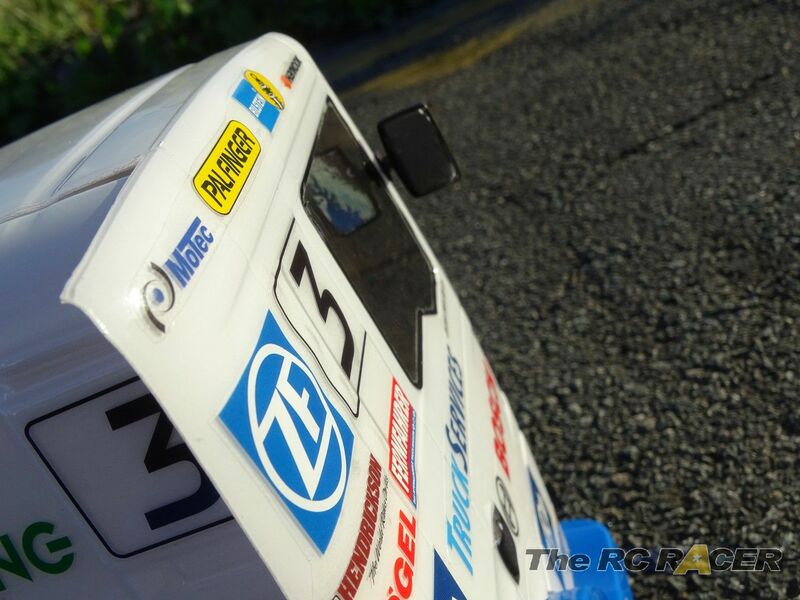 The rear bumper is another detail that Tamiya get right! 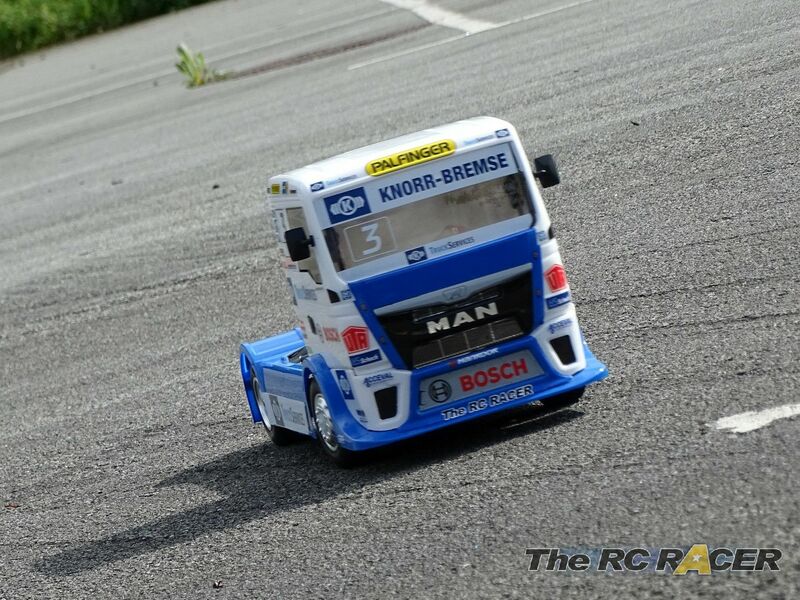 First impressions were that the Man Racing truck has no problem attacking corners most of the time. The shell does put a lot of weight and down force on the front wheels and this results in you being able to turn in and hit the apex with a decent amount of on power steering on the way out. If you go full on into a moderately tight corner sometimes the body roll of the weighty front cab would combine with the high tyres and fold the tyre. This would make the rear end become unstable. This doesn't happen very often and it could be fixed by fitting a tyre insert or changing the front springs... or by maybe braking a little earlier (Yeah right!). Check out our video! 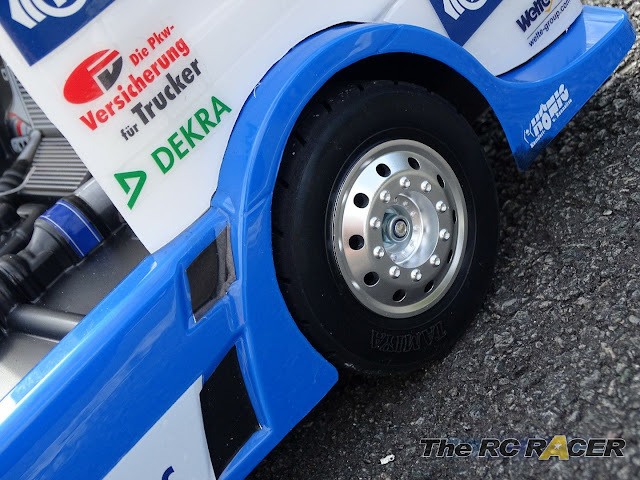 Despite not running on a perfect race surface, the truck felt stable and it had a positive steering feel. The extra ride height ensured that gravel and debris was easily raced over. There were a few knocks with posts and the kerb over the course of running several packs of batteries, and nothing broke (Including the precious body). The most important thing for me was that the Team Hahn TGS Race truck was excellent fun to drive. 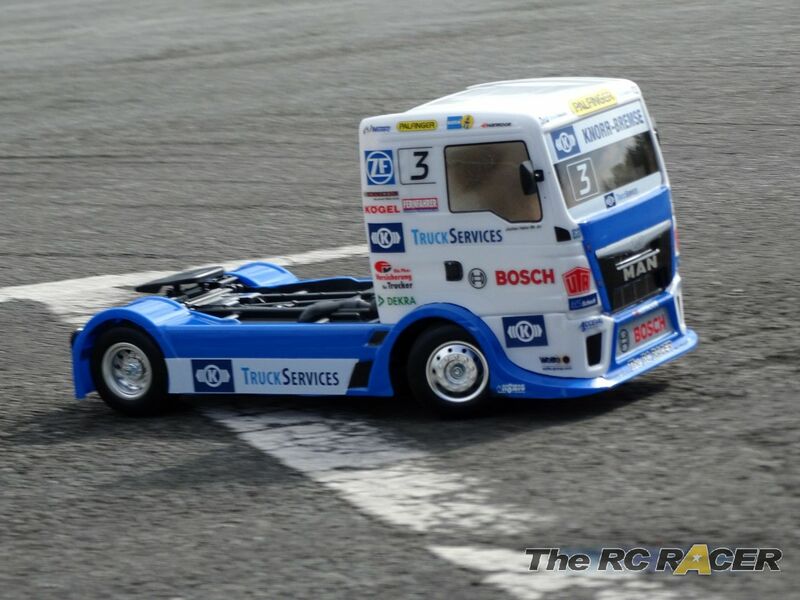 The combination of an easy to drive chassis and a great scale shell reminded me when we started racing TA01's at the start of the on-road craze when things were just pure simple fun. An affordable, good looking, durable and fun to drive kit that stands out from the crowd.The Tamiya Team Hahn TGS Man race truck could well start a new craze! 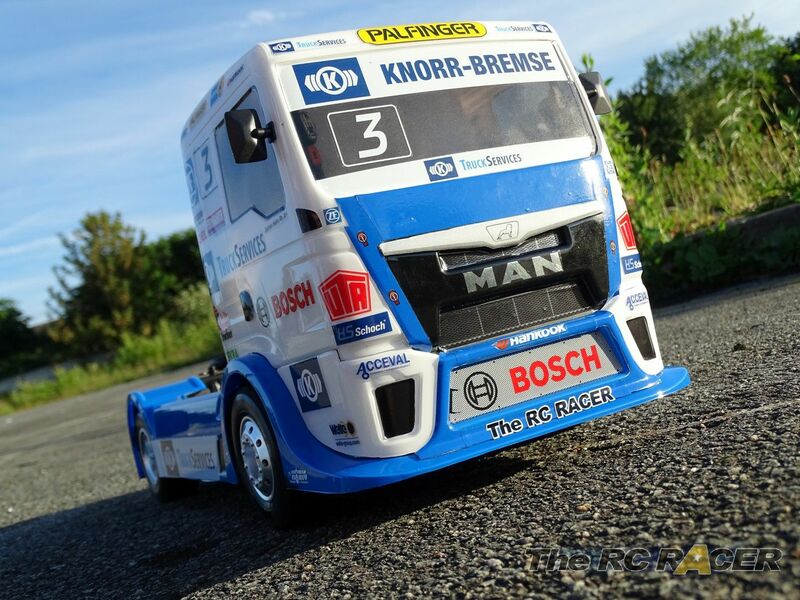 In the box, you get an easy to build chassis and a fantastic looking replica truck body and some decent electrics. 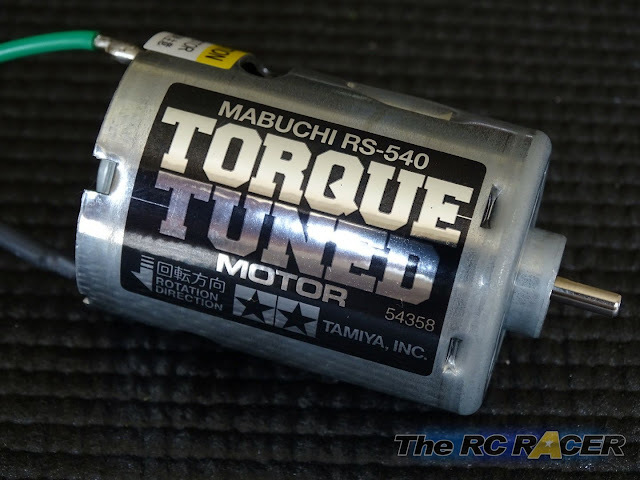 Tuning options are limited in stock form, although there are plenty available as option parts, and unfortunately its not easy to fit a lipo. However that is not really important, as this racing truck will appeal to a wide range of people from beginners to experts alike. I for one cannot wait to get a stock racing class with a bunch of these racing together. I already know people who have put in an order, and in my opinion it's an essential addition to my fleet! What pack did you end up using? I'm looking for a lipo round pack with the largest capacity.